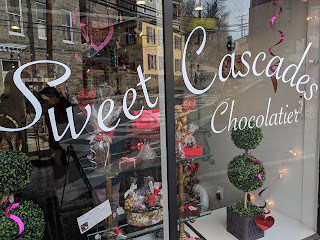 Sweet Cascades has relocated up the hill from its original pre-flood location. 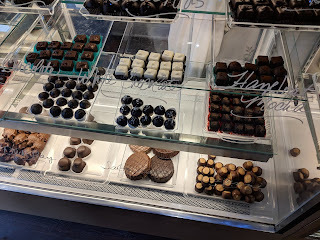 They are still going strong and provide a heady array of chocoaltes. 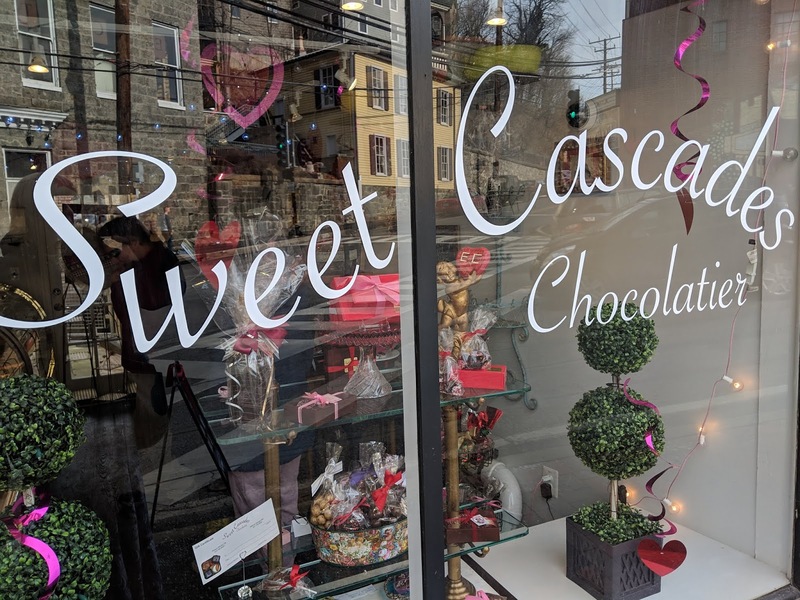 Their collection includes both traditional chocolates---truffles and the like---along with treats such as peanut butter cups and dipped pretzels. I managed to hold off from devouring my peanut butter cup to make it a superb mid-afternoon treat.